Ted Cruz polling challenge: Chris Wilson, candidate's research director, wants help getting Fox to change debate entry standards. 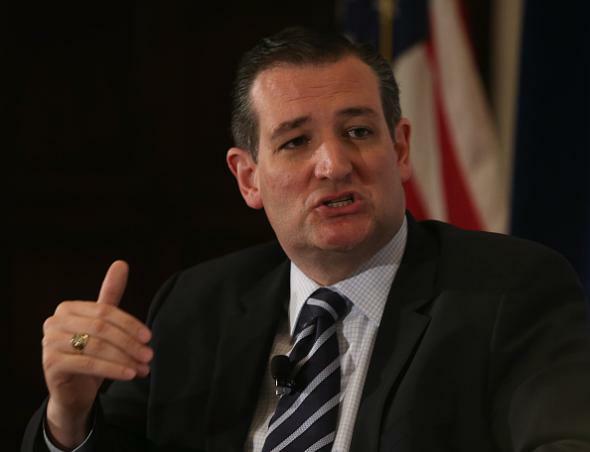 Ted Cruz at a U.S. Hispanic Chamber of Commerce event in Washington D.C. in April. In the struggle to lock in a space onstage for Ted Cruz at the first 2016 primary debate, Cruz’s numbers expert is reportedly looking for help from the senator’s rivals for the Republican nomination. Politico reports that Chris Wilson, Ted Cruz’s director of research and analytics, sent a message to other Republican campaigns inviting them to join his fight against the “unclear” standards of Fox News Channel. Fox has said it will use an average of the five most recent national polls when choosing which 10 candidates get into the Republicans’ first party sanctioned debate on Aug. 6. “I’m sure you are aware, the standards set by Fox News for the first GOP Presidential debate are unclear and, it would appear, undefined,” Wilson writes in the memo. Among the Cruz campaign’s suggestions: That polls included in the national average must have at least 1,000 interviews with primary voters and must be done by telephone (not online). However, no telephone poll conducted this year has surveyed that many GOP primary voters. Wilson also suggests that, for a survey to be included in the national average, it must not be conducted on a Friday or Saturday—when fewer voters are home to answer the phone. While Wilson must see some advantage for Cruz in polls that fit all his categories, the fact that he’s protesting now about Fox’s standards would also bolster a later argument that the whole process was illegitimate in the event Cruz doesn’t make the cut. But he’s also calling for at least five national polls of unprecedented size, using only live telephone interviews conducted Sunday through Thursday, to be suddenly rolled out in less than three weeks. Could this be a covert stimulus program for the political polling industry? Politico reports that Wilson’s memo indicates he’s “very open to other criteria” and carries the optimistic closing that “once I hear back from you, and the other campaigns, we will put together a joint letter” to Fox, but doesn’t name the other campaigns that Wilson supposedly reached out to. Cruz’s campaign spokeswoman did not respond to a request from Slate for comment on the memo’s contents or where it was sent. Wilson’s not alone in his displeasure with the Fox approach to winnowing the field, which almost nobody seems to like: New Hampshire Republicans protested that relying on national poll standings undermined early-primary states’ role in the process. Candidate Sen. Lindsey Graham went on Fox News to call the rules “lousy” and “a dumb way to weed out the field.” Barring a last-minute miracle in the polls for Carly Fiorina, the sole woman running for the GOP nomination will not be allowed onstage. Three early-state newspapers are taking anyone at their rogue debate three days ahead of Fox’s on C-SPAN, and the Hill reports they’ll have at least seven candidates, including Cruz. It’s not clear whether the Republican Party considers that a “debate”—if so, any candidate who attends would be barred from all of the GOP’s official 2016 debates under the party’s current rules.